Bali’s Mount Agung volcano continues to belch smoke sending ash sweeping across the island covering aircraft flight paths and stranding thousands of tourists. Frustration at the country’s second-busiest airport is starting to boil over, with an estimated 2,000 people attempting to get refunds and reschedule tickets. Ten alternative airports have been prepared for airlines to divert inbound flights. The airport operator says it is helping people make alternative bookings and providing food and entertainment for stranded travellers. 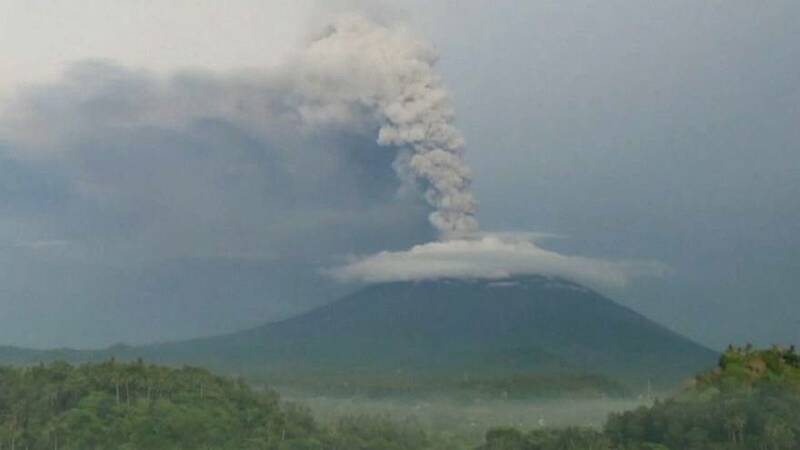 With no immediate sign of the eruption ending any time soon, industry experts say airlines may consider making longer-term flight frequency adjustments to Bali as forward bookings collapse and risks of ash damaging aircraft linger. The airport on Lombok island, to the east of Bali, has been reopened, authorities said, as wind blew ash westward, toward the southern coast of Java island.